AUCKLAND(Pacific Media Watch): As tensions escalate in the Indonesian-occupied Melanesian region of West Papua, there is growing criticism over the lack of information in the mainstream New Zealand media about the troubled area. When the Morning Star flag was raised and cries of “merdeka” (independence) were heard by the strong Indonesian military presence, gunshots rang out and violencefollowed. On Monday, Indonesian police chief Adj. Comr. Dominggus Awes was gunned downon the tarmac of Mulia Airport. 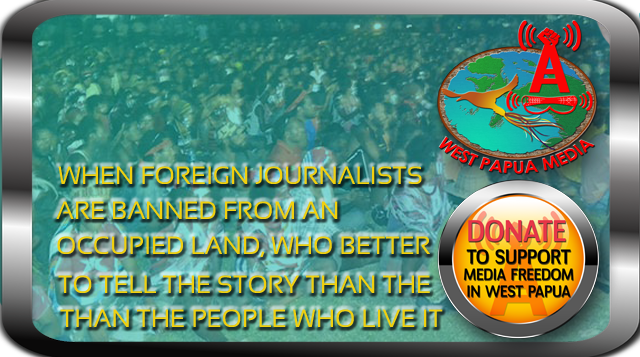 The People’s Liberation Army of West Papua or OPM, were accused of being involved but have since denied it. Dr Steven Ratuva, senior lecturer in Pacific studies at the University of Auckland, says New Zealand likes to consider itself a Pacific country, but can’t, as its interests lie elsewhere. Maire Leadbeater, from the Auckland-based Indonesia Human Rights Committee, and a campaigner for human rights in West Papua, wrote an article in a 2008 edition ofPacific Journalism Review about what she argued was New Zealand’s biggest media blind spot. Papua Post reblogged this on Papua Press Agency.